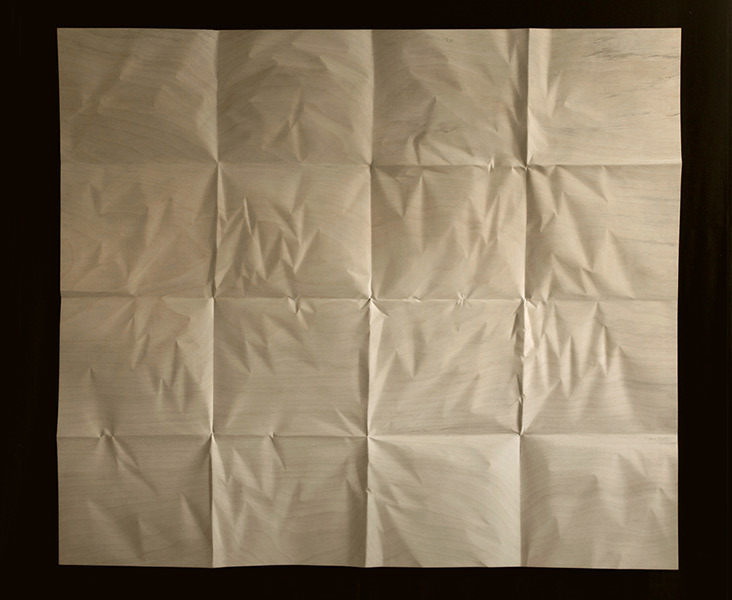 Paper is an especially pleasant subject, because it strictly adheres to the unwritten rules of folding, with the additional advantage of an incomparable and delectable geometric rigour. 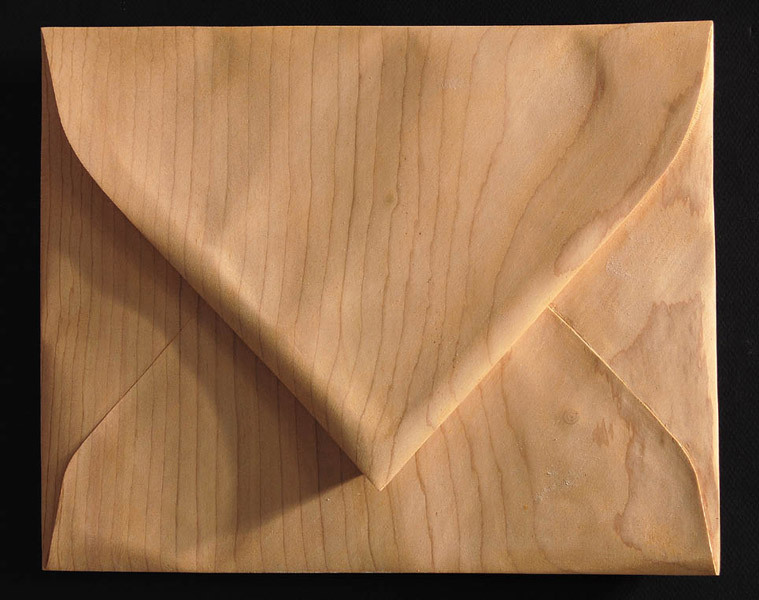 The ridges and creases are perfectly rounded, or else break off in a sharp point, often head-to-tail with another point that marks the next fold. 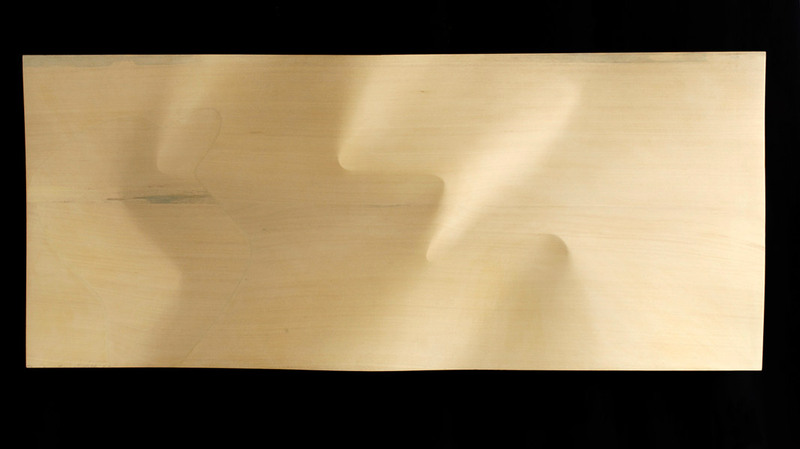 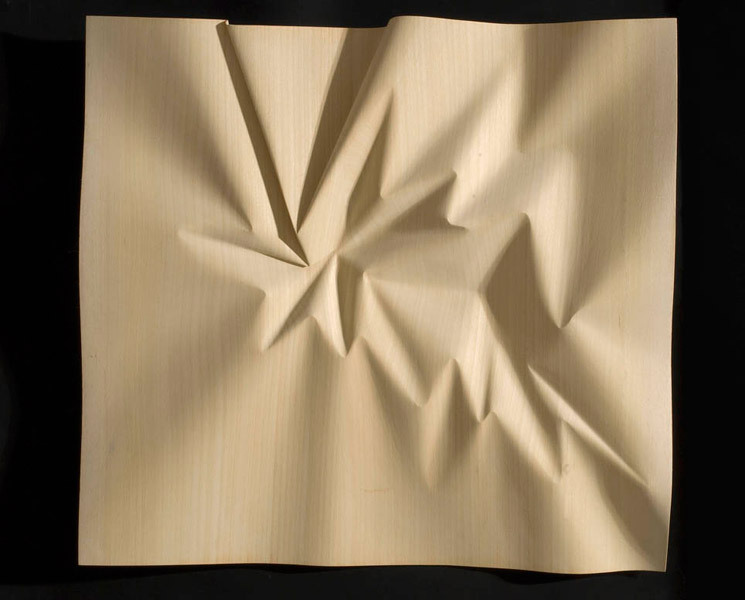 It is a material that “crick-cracks”, yielding suddenly to the pressures of folding, breaking off like a mountain peak that reveals a pass, convex/concave ; as if to compensate for all this sharpness, the amplitude of its undulations allow for extremely soft shapes, where the sculptor can lose himself in the contemplation of where the convex begins and the concave stops. 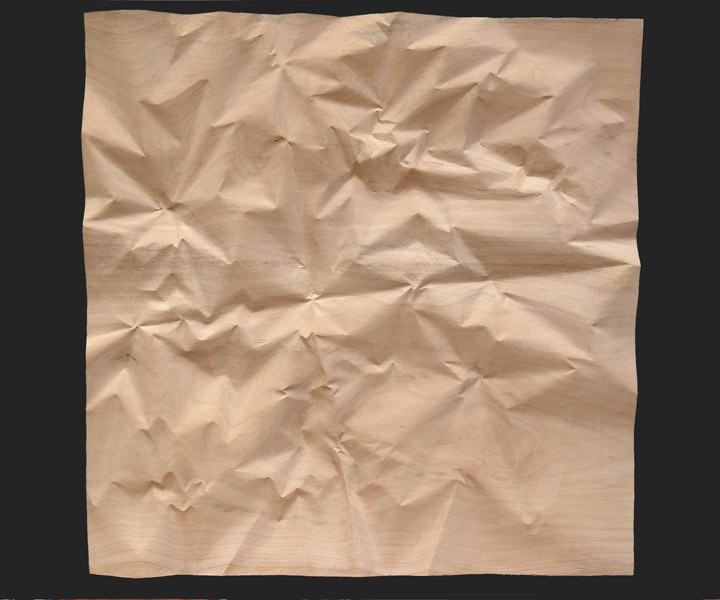 Paper whispers in the ear as cardboard speaks to the eye ; a vegetable matter that directly confronts our animal body, our primitive sensations. 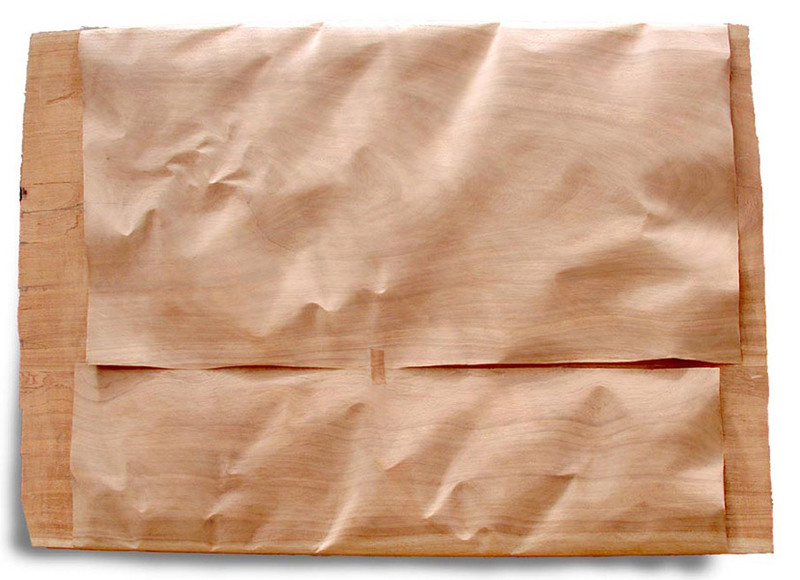 But paper is also organised matter: a sheet, a piece (as we say “a piece of fabric”). 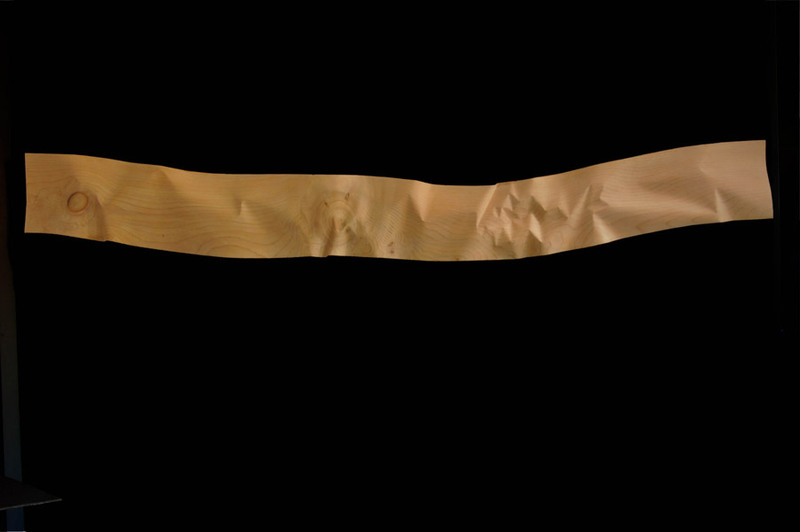 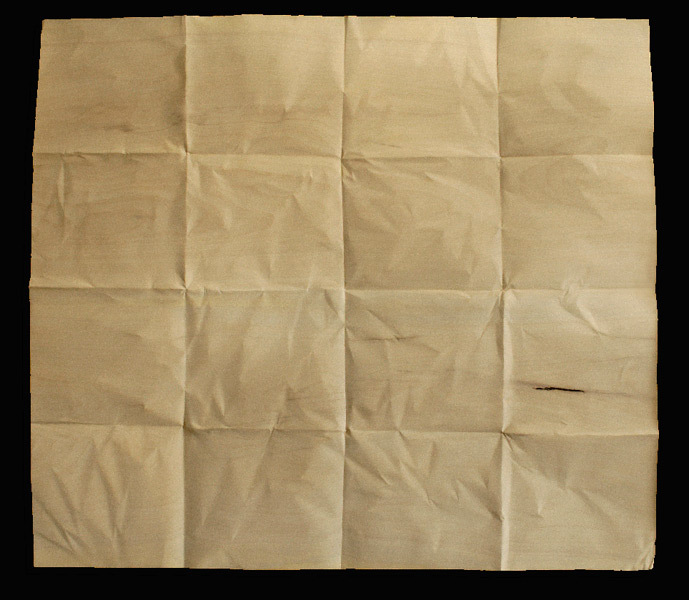 In this way, it can be folded and unfolded, draped and unfurled ; “pli selon pli” – crease by crease – it remembers and reveals. 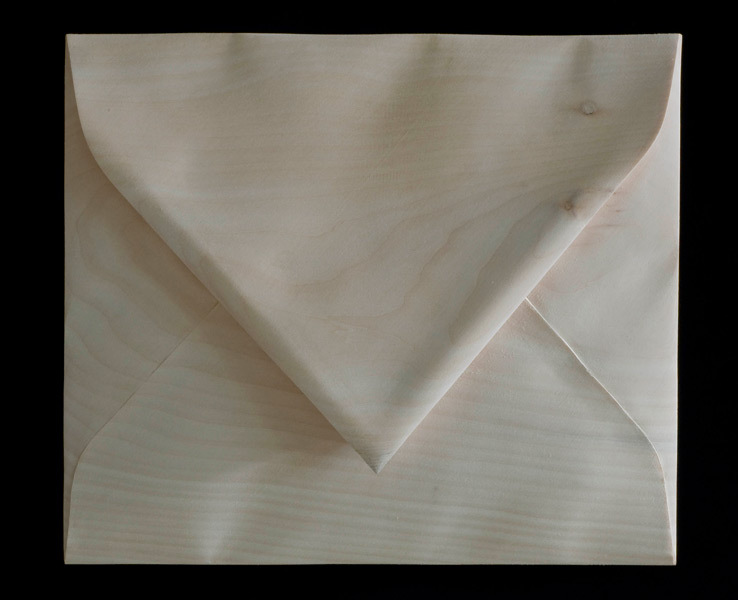 And more : fold down the four corners of a sheet of paper and it’s an envelope : matter organised into graphic object – a tribute to the diagonal. 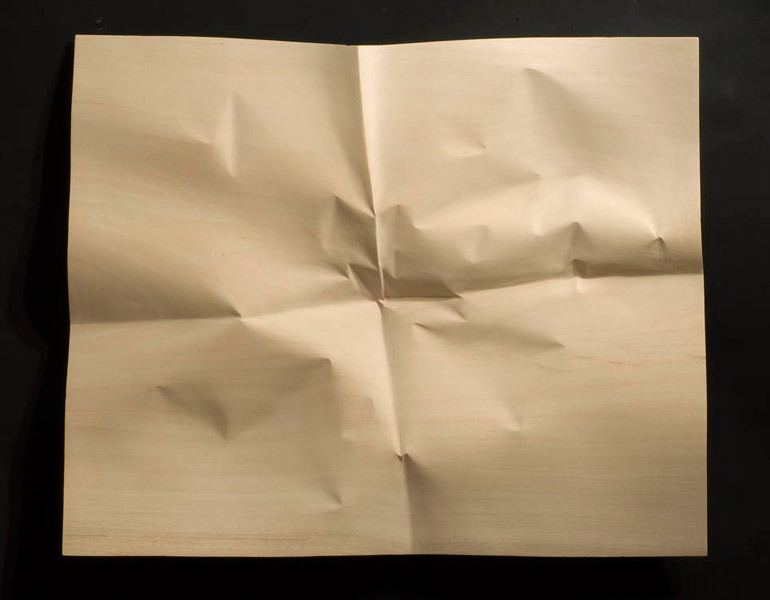 The created object has uses : it bears writing on the surface and also enfolds another sort of paper in turn : paper not as matter but purely a medium for thought. 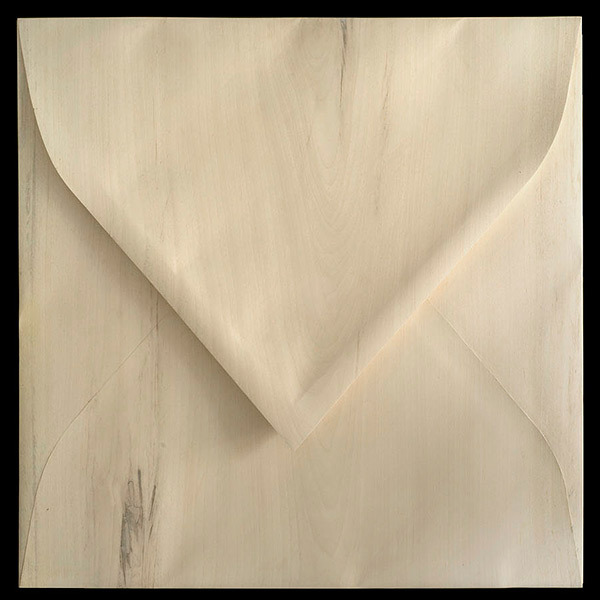 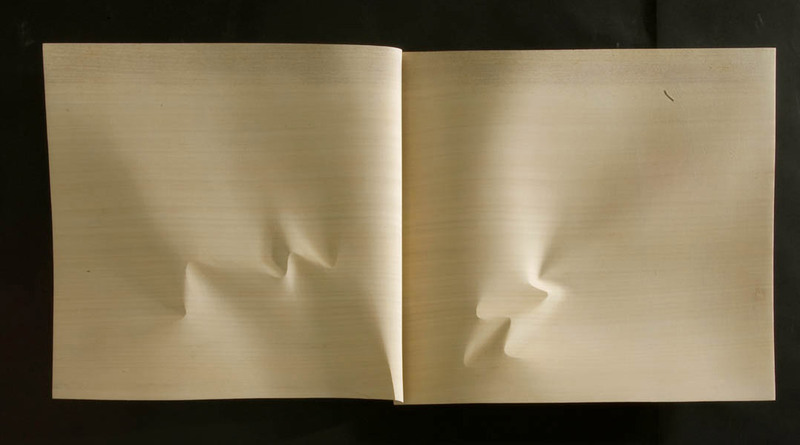 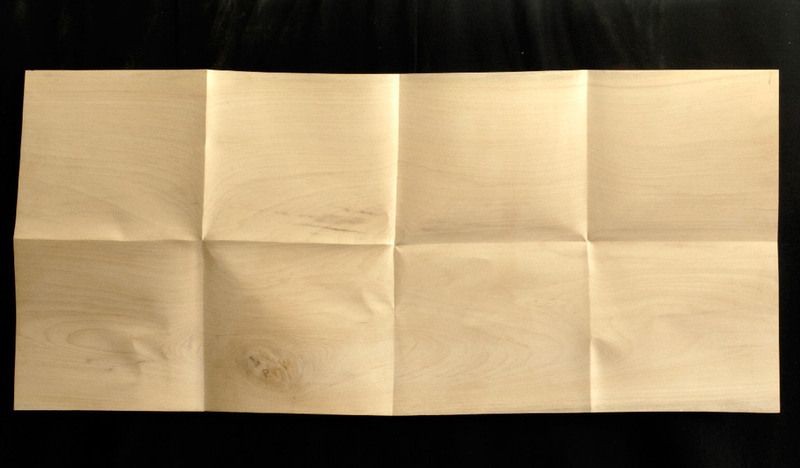 Paper and wood in connivance, pleasure of texture, happiness in hand : paper is like skin, fine and sensitive.